Magazines: Old School vs. Digital. We in the yarnyMarni household used to go there on a weekly basis, to browse the stacks, to sit and read books to our daughter, to drink coffee and eat chocolate chip cookies as big as our heads, and to buy magazines. So now there’s no more Borders (yes, we have a Barnes & Noble, but it’s not as close. And it’s not as comfortable and familiar and friendly and… well, “Borders-y”. ), and therefore, not quite as many magazines are making it into the house. My husband found a way around this: almost everything he reads now is delivered via iPad. But I’m having a more difficult transition. While I like the slickness of iPads and Kindles and e-readers, I can’t seem to let go of the old-school concept of holding a book or magazine in my hands, turning actual pages, marking my place with paper bookmarks, packing them into The Bag Your Bag Could Be Like to share with others. That’s not to say that I’m not trying to go digital – I downloaded Interweave Knits (via Zinio), Knitscene, and Knit.Wear (via my hard drive) so I can try to get comfortable with this e-reading concept, but I’m not sure if it’s working. I do like Zinio a lot – it’s easy to use and the pages really look gorgeous. And I love how every link is live, so I can just !click! and another window opens to something interesting. The other magazines aren’t on Zinio, so I’m trying to adjust my PDF reader to make it more Zinio-esque. The verdict? It’s… okay. Maybe it just takes some getting used to. Maybe I just like holding a magazine in my lap more than my laptop. Which do you prefer? Ughhhhhh… what a gray, rainy, cold, and generally icky day it is today. You’d think it would be a great day to get some knitting done, which I did, but I gotta say, I’m getting bored with my current project. It’s almost done – 2 more balls of yarn to go – but I’m really in the mood for something new. Maybe for Spring. And definitely for me. 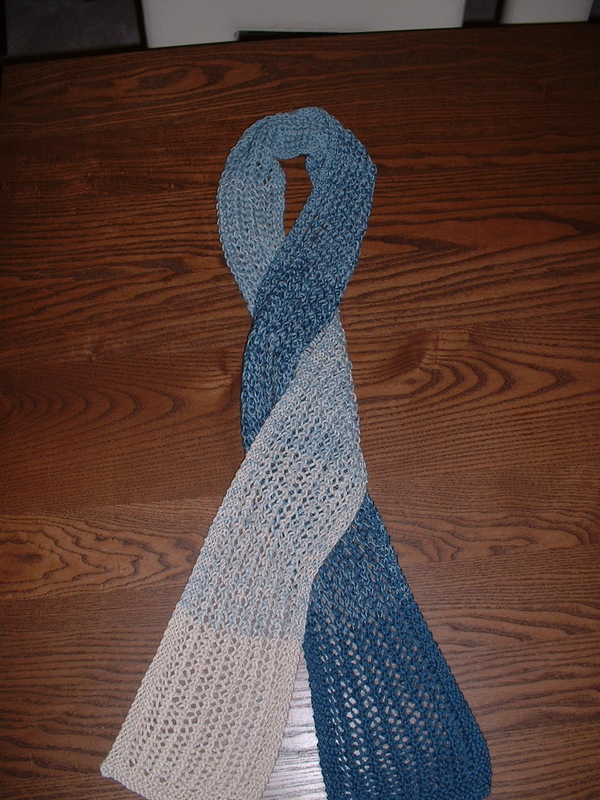 I typically find a lot of inspiration on ravelry. If you’re not, um… ravelling (?! ), and you’re into fiber, get yourself over there immediately. Check out the Bobby Award nominees – I laughed harder than I have in a long time reading through the Funniest Project Title/Tag/Notes category. Interweave Knits Winter/Spring 2010 Knitscene magazine is excellent – just like every other Knitscene magazine they’ve published. Will there ever be a time when I finish my WIPs exactly when a new issue comes out so I can immediately start one of their awesome projects? I really have to plan better. One more… I get a lot of yarn company’s newsletters in my inbox. I read them, take a few mental notes, then hit the delete button. The last email from S. Charles Collezione (from Tahki Stacy Charles) made me stop in my tracks. Gorgeous! Anyone else fiber-optically inspired these days? FAQ: What’s With The New Name? Yesterday I briefly stated why and how I was starting my blog again. But by far the biggest question of the day has been, where’d you get the crazy new name? A couple of months or so ago, I was lamenting to my cube neighbor Bill about giving up my “Accidental Knitter” namesake. The problem was, what would I call myself then? Without missing a beat, he said, “How about ‘Yarny Marni’?” After picking my jaw up off the ground, I said, simply, “Whoa.” And there it was. On the needles right now: Socks for my husband, made with Austermann Step sock yarn. Yes, I’m still working on these. But they’re almost done. Really. On the needles previously: The Spectrum Scarf, by Eunny Jang of Interweave Knits. A great project, which I’ll discuss at length another day. On the needles later: Another scarf for Bob, but for his daughter. I need something that a 13-year old will like… I may be in trouble here. Stay tuned. For Bob's wife, who doesn't read this blog. Knitting Nedjmi on Sad Knitter… Sad. Sad. Knitting Nedjmi on Bad Knitter… Bad! Bad! Jen Rehill on The Near Future Of Knitting. Kris Peters on Welcome To The 2012 PA Farm Show Fleece And Sheep To Shawl Contests! yarnyMarni · A blog about knitting… mostly.